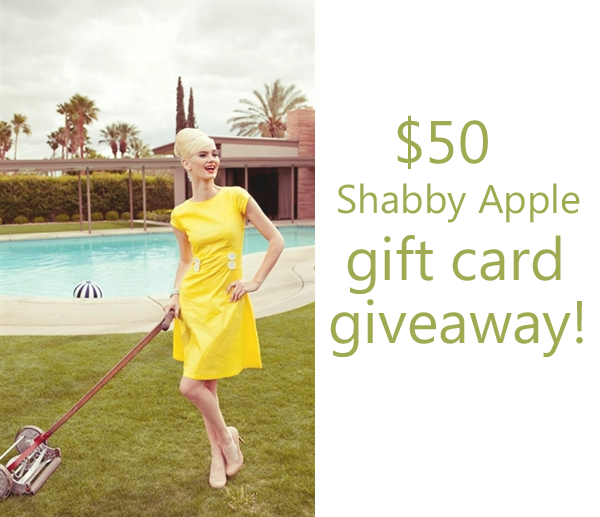 Shabby Apple would like to give to one lucky Lara's Vintage reader. A $50 gift card to their shop to anyone with a U.S mailing address. Shabby Apple is well known for their unique, vintage inspired clothing and accessories. I'm absolutely in love with this navy dress , this super cute purple swim suit and these wedge style boots . They're also offering a 10% discount code to those of who can't wait and want to go shopping now! You must leave a comment with your favorite item from Shabby Apple. Be sure to leave your email address.